Ashley Bell talks up the Skogger at the Focus on Forestry field day in 2017. The acquisition by Bell of Matriarch Equipment brings together one of the world’s leading material handling manufacturers with an innovative upstart that has introduced a range of new machines into forestry and agriculture in the past few years. 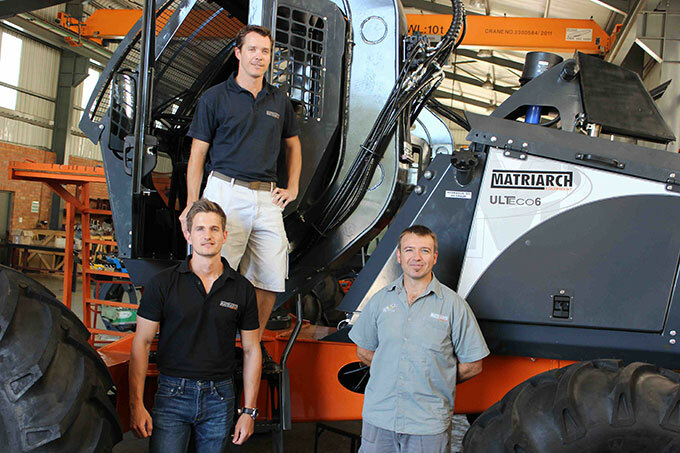 Matriarch Equipment was established by brothers Justin and Ashley Bell on a Zululand farm in Felixton in 2009. 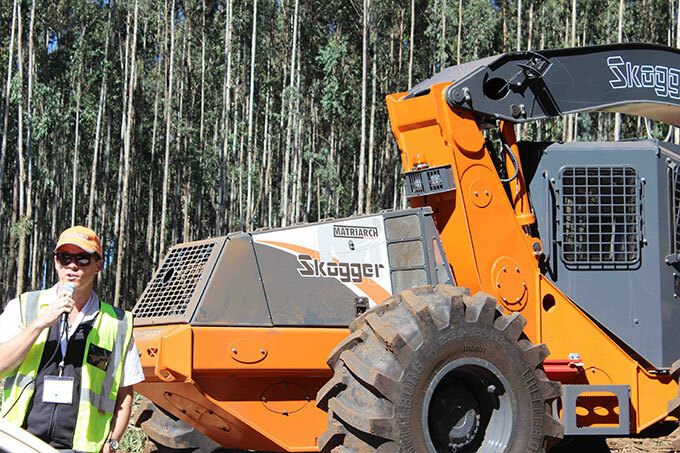 Matriarch initially started manufacturing a range of tough grapples, going on to developed slew loaders for the sugar industry, and more recently the innovative Skogger and Fastfell machines used in forestry applications. Bell Equipment has a global footprint and over 60 years of experience in manufacturing, distributing and supporting material handling equipment used in mining, construction, road building and agriculture. These include Articulated Dump Trucks and the world famous Bell three-wheel loggers. As from February 2019, Matriarch will continue to operate from its headquarters in Felixton, near Empangeni, as a wholly-owned subsidiary of Bell Equipment. The Matriarch brand and product offerings also remain in effect. Justin and Ashley Bell will continue to be responsible for the management of Matriarch, while taking on additional responsibilities for forestry and agricultural products produced by Bell. Bell brothers (clockwise from top) Ashley, Justin and Kelvin at the Matriarch factory in Felixton with one of their slew loaders.